There are many Shopaholic like me who literally shop like crazy. Online shopping being the in thing; people now a day is preferring it for miscellaneous good reasons of their own. I like to shop online as I get to check out as many options I want, I don’t have to go to the mall or showroom to shop and if I don’t like the product, I can easily return the item. I mean, why would I keep it if I don’t like it! It is not only the products that we can return infact, apps, game, book or any digital purchase can also be returned or refunded. 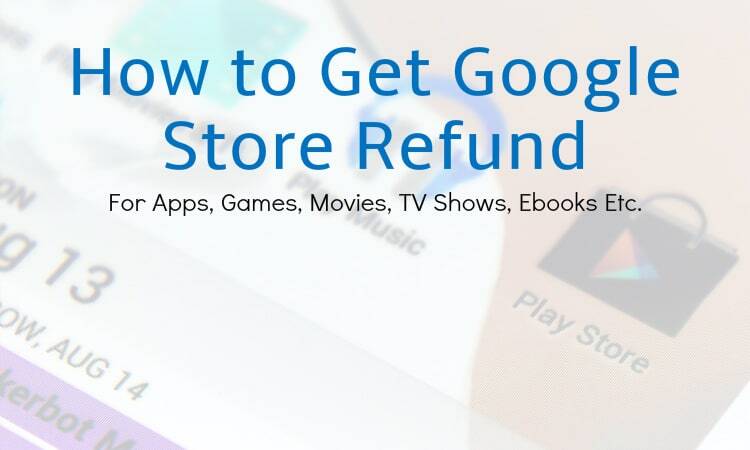 Today, we are going to explain you how to get a refund if you have purchased apps, games, movie, tv shows, ebooks from Google Play Store. 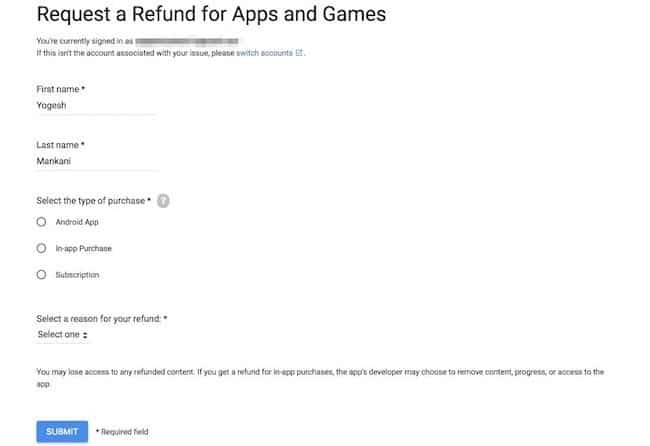 There are some simple steps you got to follow to return the purchase and get the Google Play Store refund for the same. Want to know? 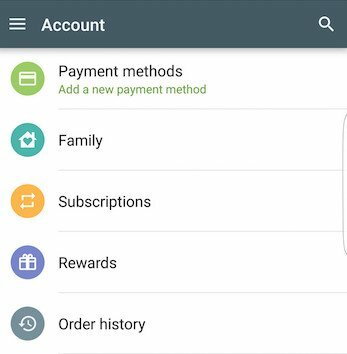 Here we have written the step-wise procedure of how to get a Google Play Store Refund for some of digital purchase that you didn’t like later. Read on! If you got fancied with some premium App or game, but after making the purchase you realised, you didn’t make the right choice. You can get the refund for the same from Google Play Store if you don’t delay the process and get it done within 2 hours of purchase. Tap the three horizontal lines at the top left. From the menu, choose Account followed by Order history. Find the app or game you want to return and tap Refund. Tap Yes, the app will be uninstalled and your money will be refunded. Followed by an email about the refund. In your order history you will see Cancelled written right next to the app in your Order history. Don’t panic, if you have exceeded two hour limit because till 48 hours of purchase, you can request a refund via your browser. You should be signed into your Google account and you got to fill the form that opens up when you click Google link. If you are that lazy or realise late (after two days of purchase) that you don’t like the App or a game, then you will have to reach the developer and subtly ask for the refund. From the menu, choose Account and then Order history. Find the app or game you want to return and tap View. Scroll down to the developer section at the bottom and click on Send email. Give reasons and request the refund. Though, it will depend on the developer whether he/she wants to refund your money or not. It is better to give a proper reason that will help the developer understand why you asking for the refund. You got to submit a refund request through the Google form to get a refund for an in-app purchase. For this you’ll need Order Number (listed in the email you get on purchase). Just incase, its been more than 48 hours since the purchase, then you’ll have to reach the app developer directly. From the Menu, choose Account and click on Order history. Find the app or game and tap View. Choose Send email from the Developer section at the bottom. Subtly explain the reason and ask for a refund for an in-app purchase. If there is any monthly or yearly subscription, you’ll have to cancel it too. Check how to cancel the subscription in Google Play Store. From the Menu, choose Account and click Subscriptions. Find the subscription and click Cancel. P.S: You got to cancel subscriptions you signed up to. To return movies, TV shows, music or ebooks, simple steps need to be followed. You can return anything within 7 days of purchase for a full refund, provided you haven’t downloaded or played it. In this case, you can’t refund through the Google Play Store app, but will have to do it through your browser. Visit (https://play.google.com/store/account) in your browser and log in to your Google account. Scroll down to Order history and find your purchase that you wish to return. Tap the three vertical dots on the right. From the menu, choose Report a problem. Select the option from the list that you find relevant. Give reason in the text box provided and tap Submit. You’ll get an email about your refund request. That’s it! These are all the ways to get Google Play Store refund for your movies, apps, ebooks, games, etc. If you are quick and plan for return and refund, it’ll be easier, but then even if its a bit late, it is acceptable. I suggest you to decide fast and if you don’t like your digital purchase, request the Google Play Store refund without any delay. We hope this piece of information was useful for you all.